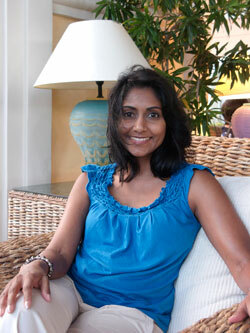 Vasantha Prasad was born in Bangalore, India, and developed a passion for vegetarian cooking in her late teens. Living in a country renowned for its exotic spices and wide variety of vegetables, not to mention age-old family culinary secrets, she learned to prepare healthful and tasty vegetarian delights. She received a B.A. in economics, political science, and sociology. She has been happily married for thirty years to Balasa Prasad, a physician, and has one daughter, Bindu. She works as a full-time office manager in her husband's office. Her hobbies are cooking, reading, and gardening - she grows several herbs and vegetables in her own garden. When she came to the United States in 1972, she was surprised to see that there were so few vegetarians. Since then she has had a dream of writing a cookbook with recipes that skillfully blend the enticing flavors of the East with the quick and practical methods of the West. This is her first cookbook. 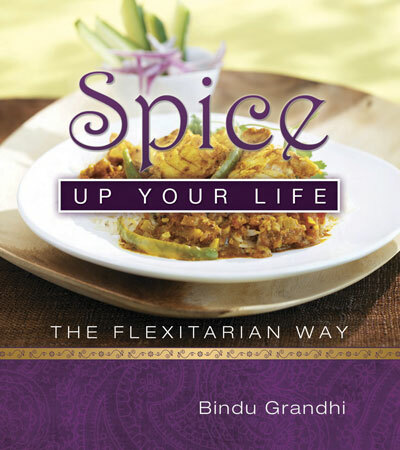 Bindu Grandhi developed a passion for flavorful flexitarian cooking in her early 20’s. 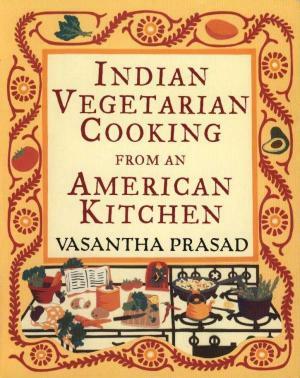 Her knowledge of good health and nutrition comes from her mother, Vasantha Prasad, author of “Indian Vegetarian Cooking from an American Kitchen” (Random House) and her father, Balasa L. Prasad, a physician and author of “Stop Overeating For Good” (Avery). In her first cookbook, she touts the health benefits of eating a flexitarian diet comprised primarily of vegetables, legumes, whole grains, spices, fruits and nuts with an occasional serving of chicken and fish. She believes that eating a tasty and satisfying nutritional meal is exactly what our mind craves and body needs. She has an MBA from NYU along with 10 years of corporate experience. She works part-time and lives with her family in Westchester County, New York.